Soderholm & Associates believes in the power of knowledge. Knowledge allows our agency to provide added value to our customers, on behalf of the manufacturers we represent. Sharing that knowledge with our engineer, wholesaler, and contractor customers allows them to better serve their own clients. When knowledge-driven value is created, we all perform more effectively — and more profitably! In the spirit of sharing knowledge with our industry partners, Soderholm & Associates is offering a multitude of contractor CEU credit courses. We hold these courses in our Equip™ training facility and utilize experienced Soderholm & Associates staff as instructors. Participation in these classes allows MN-licensed contractors to gain State of MN-certified CEU credits (both “Technical” and “Code”), which are required for license renewal. Contact your local distributor for more information on course offerings. 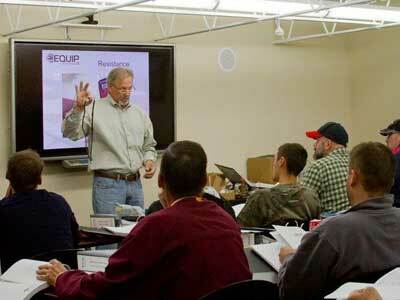 Soderholm & Associates is excited to announce the opening of our Equip Training Center. This facility includes a modern classroom and a state-of-the-art wet laboratory for hands-on learning with plumbing, HVAC, and water treatment equipment. Many of our courses are approved by the State of Minnesota for contractor Continuing Education Credits – as well as by the American Society of Plumbing Engineers to meet the requirements of licensed engineers and certified plumbing designers. Ask a representative about our highly-popular water heater service and ASSE-certified backflow tester/trainer courses today.